The Dinner Devils visited East is East twice in 2018 and will be back in 2019. East is East is a dream borne from the minds and hearts of Mustafa and Razaviah, siblings of Afghan descent. Escaping Afghanistan they relocated to India and traveled throughout the country absorbing the culture through it’s language, art and cuisine. 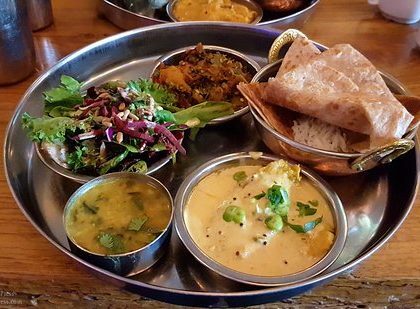 Wanting to break beyond the conventional ethnic restaurants they encountered in Canada, they created East is East as a hub for people of diverse cultures to feel at home in a place that was beyond boundaries. 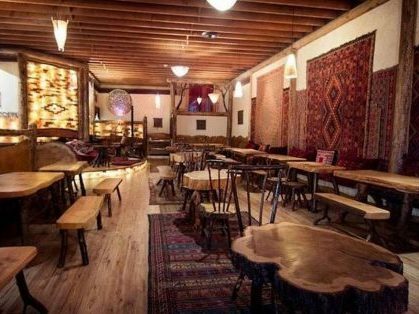 Their fusion approaches to food, ambiance, music and art all contribute to creating a sense of universality while retaining the essence of the Eastern heritage that the owners have brought with them to this land. Appreciating the growing movement of lifestyles of health and sustainability, East is East consciously integrates local and organic food into the menu, has harvested sustainable materials for restaurant interiors, and works to decrease its carbon footprint with small steps in the right direction.